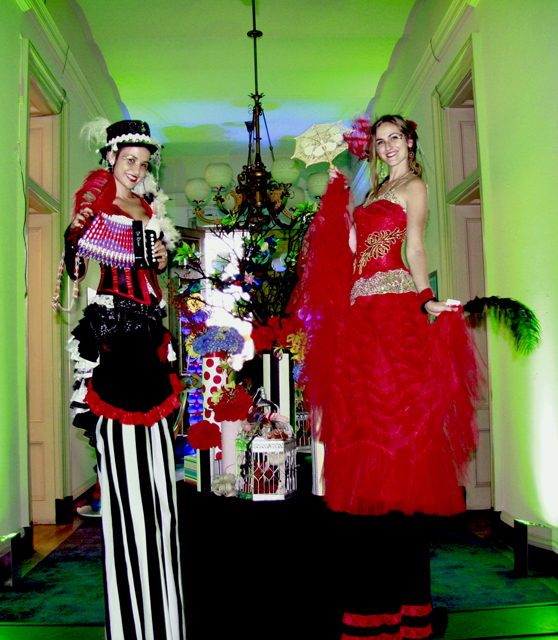 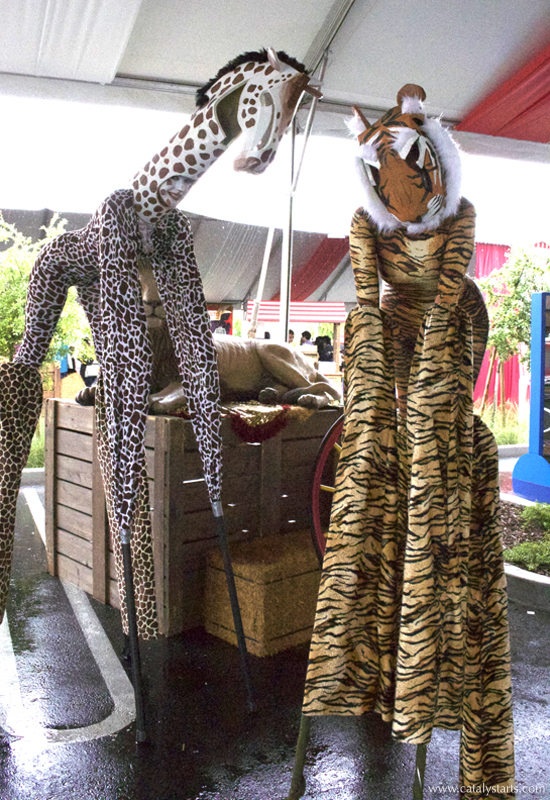 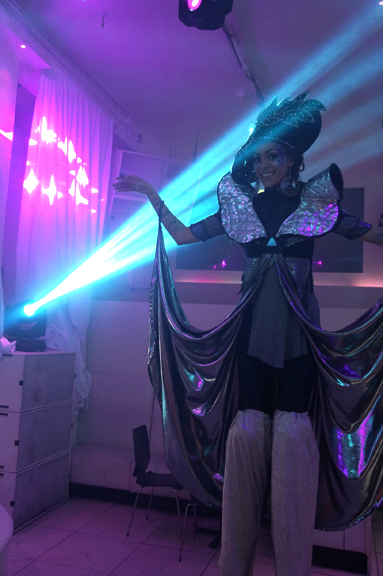 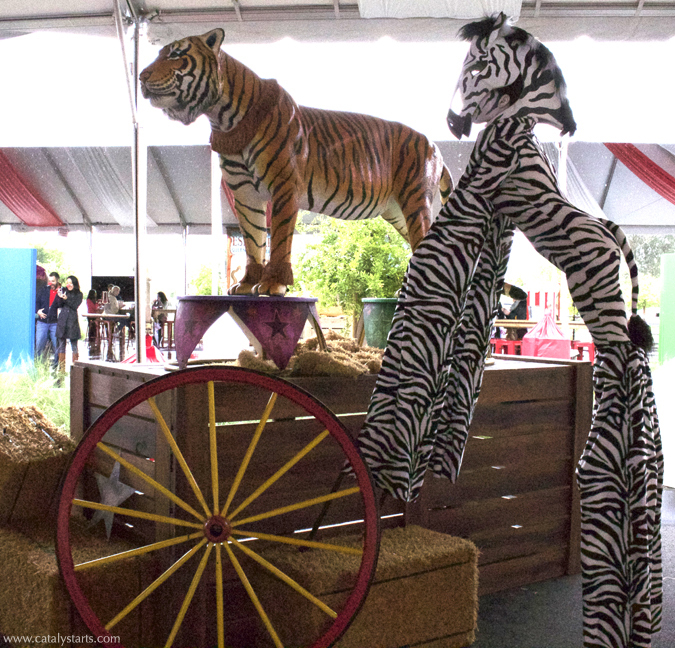 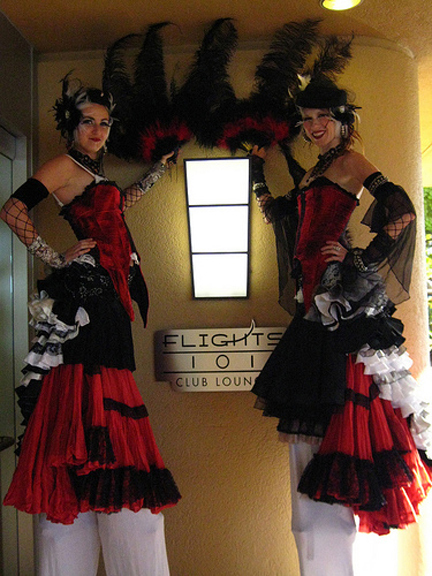 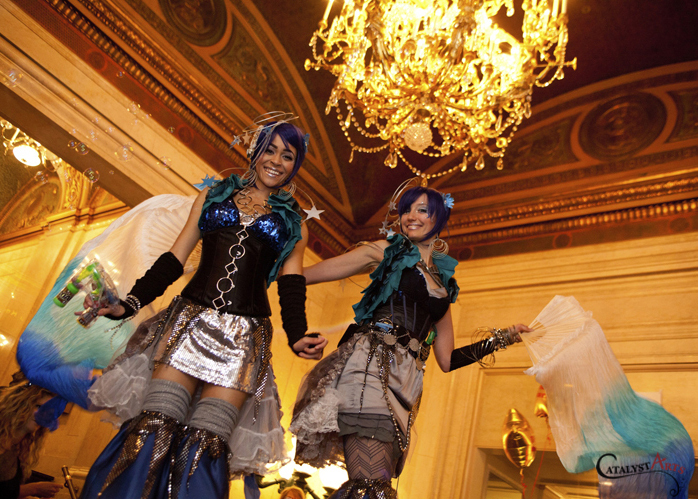 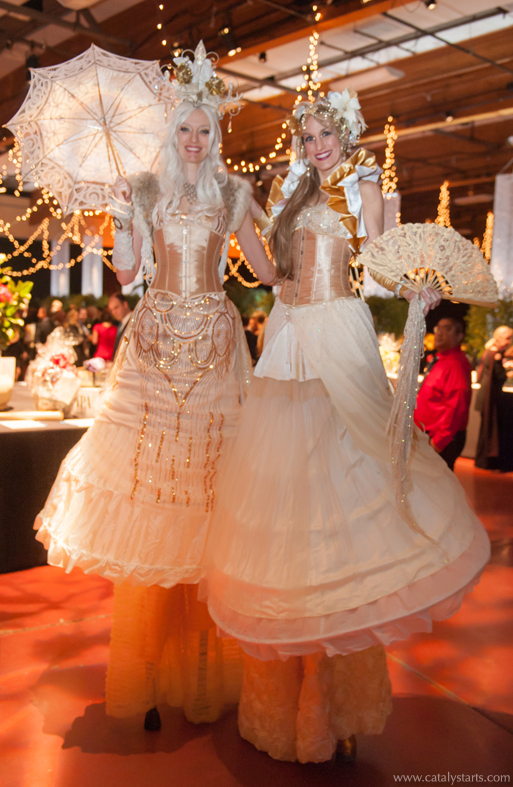 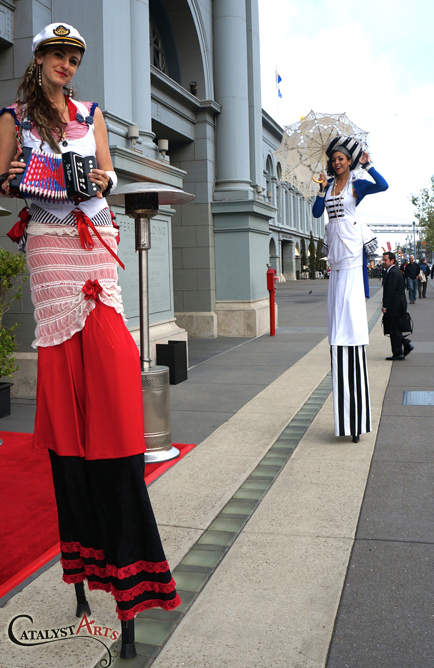 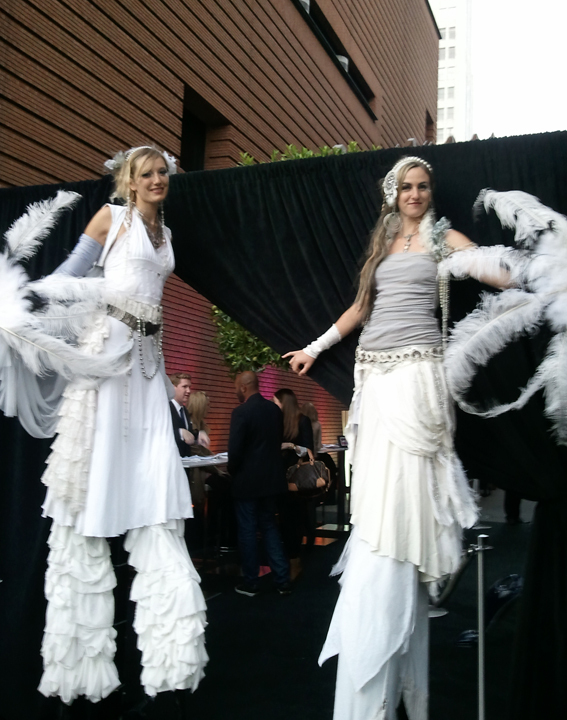 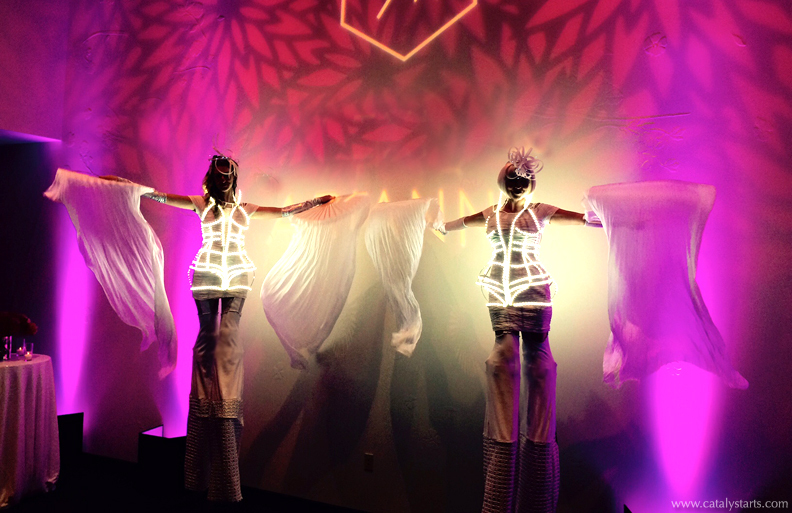 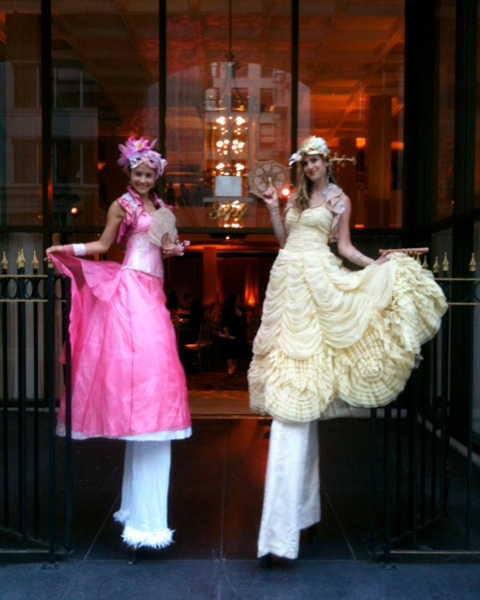 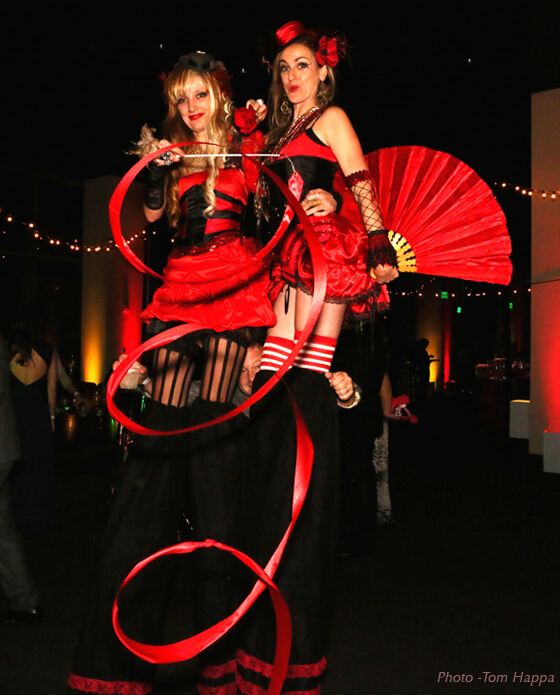 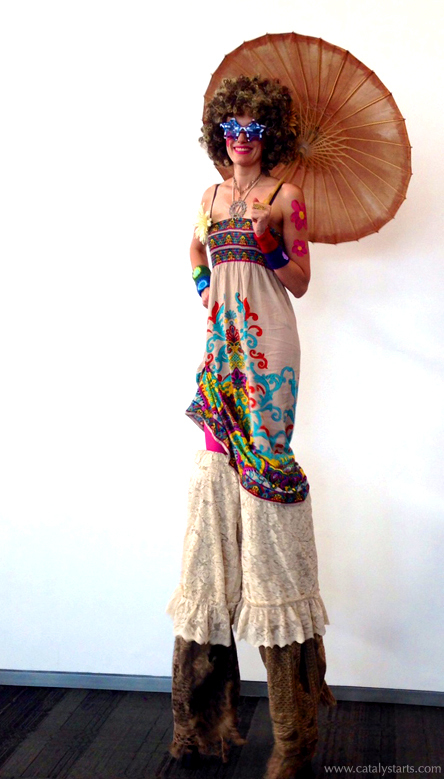 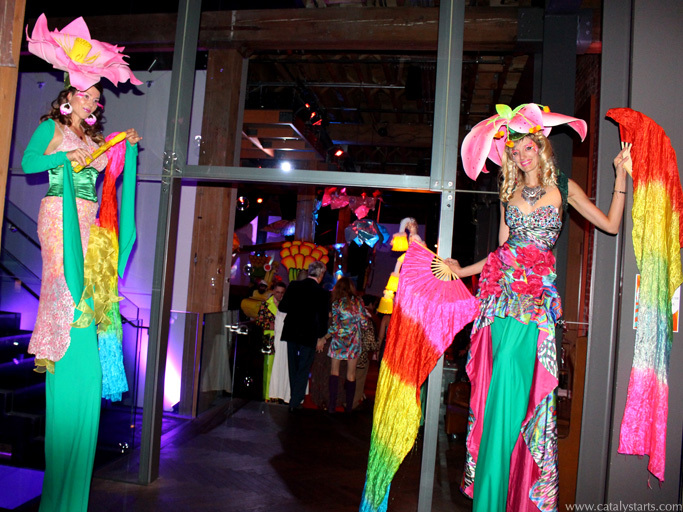 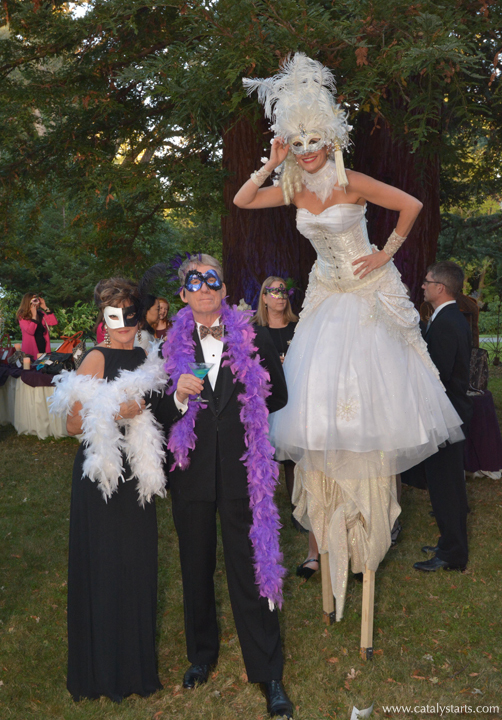 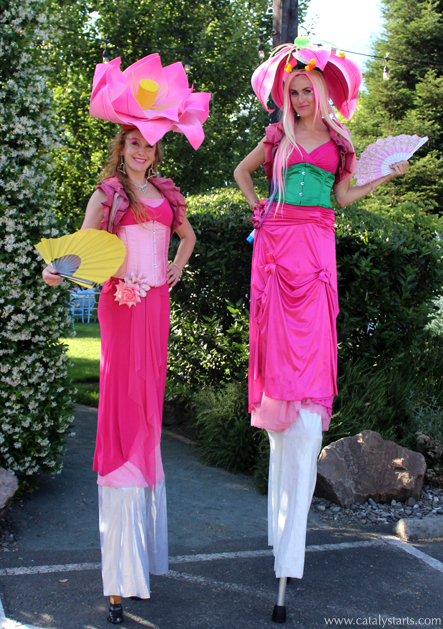 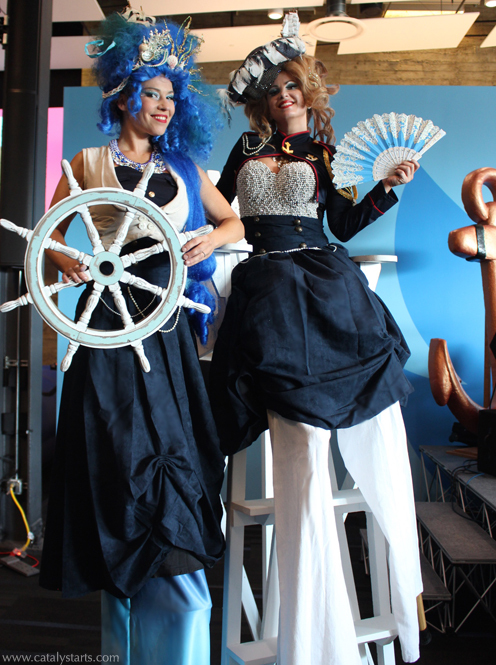 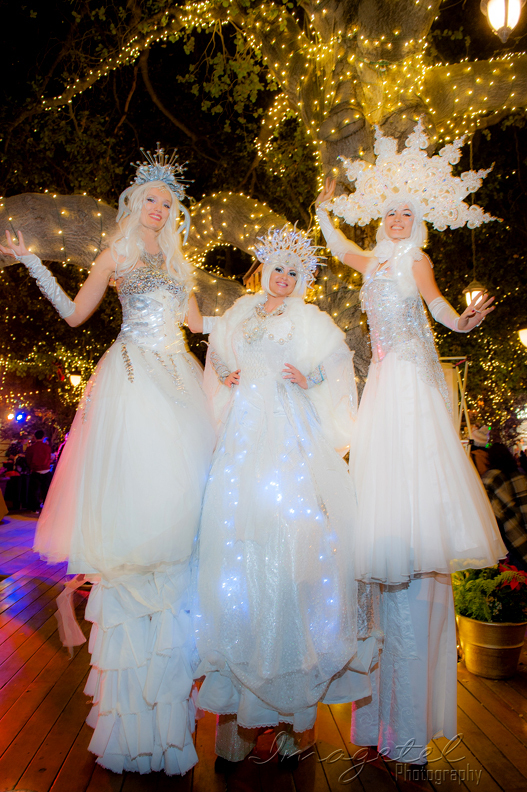 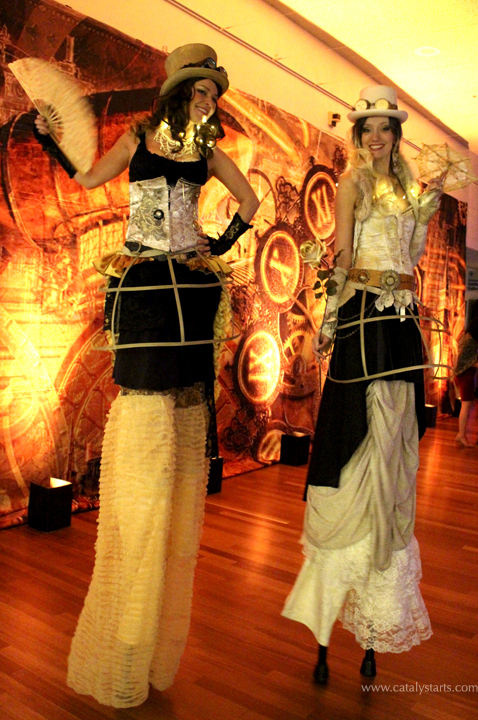 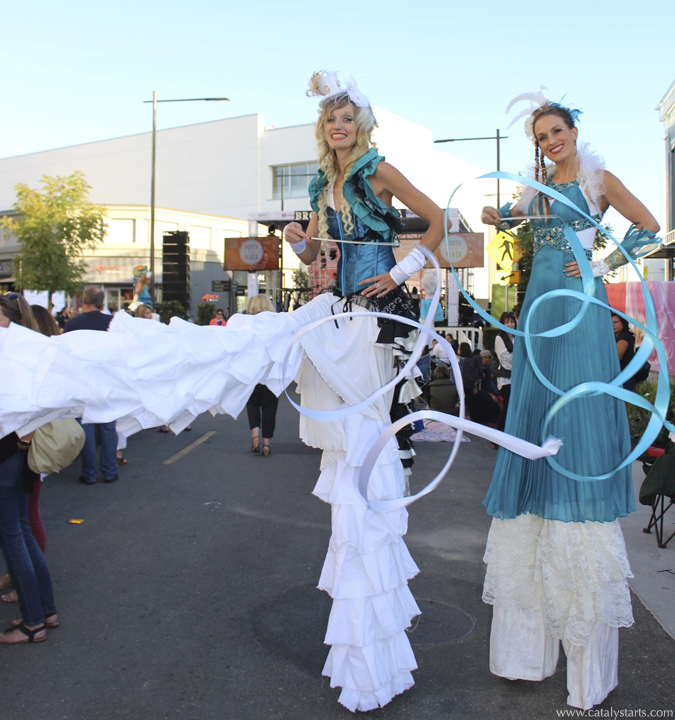 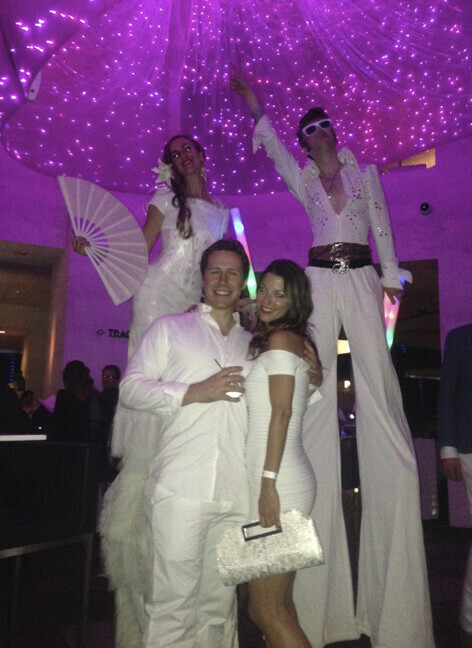 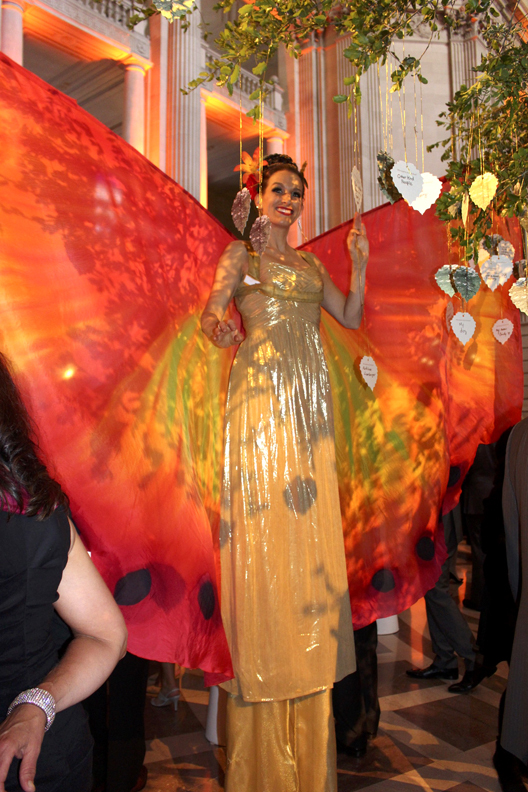 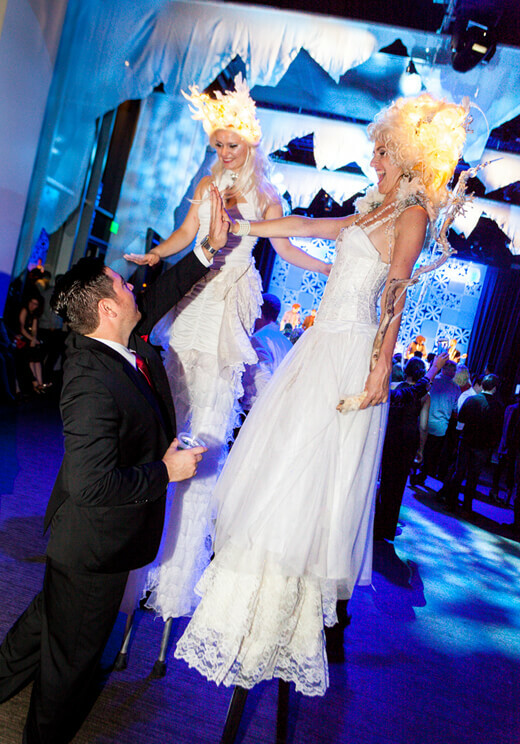 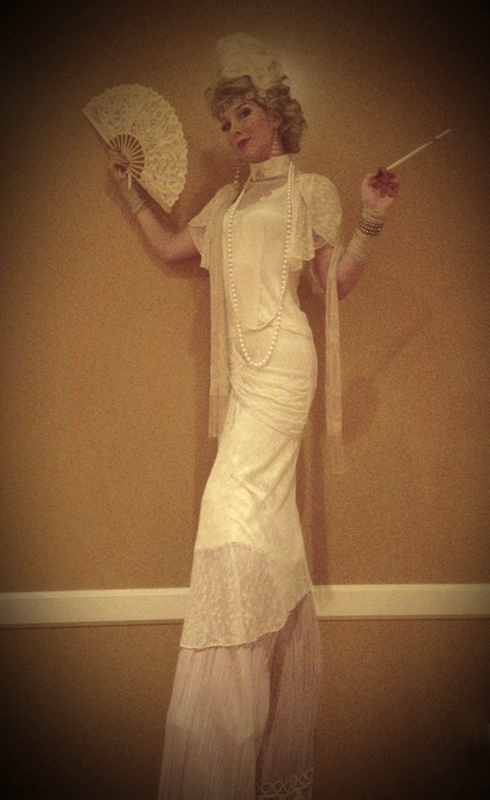 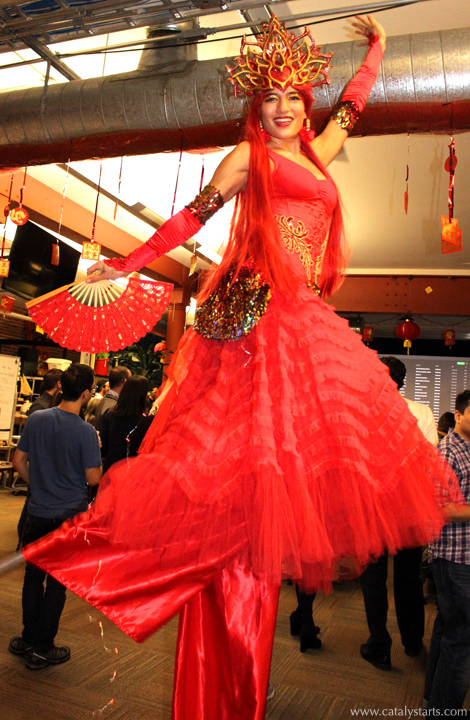 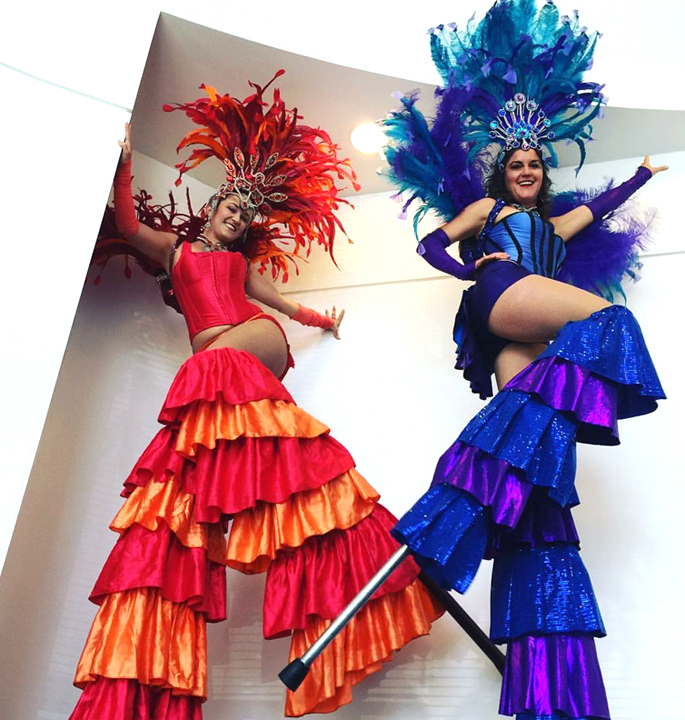 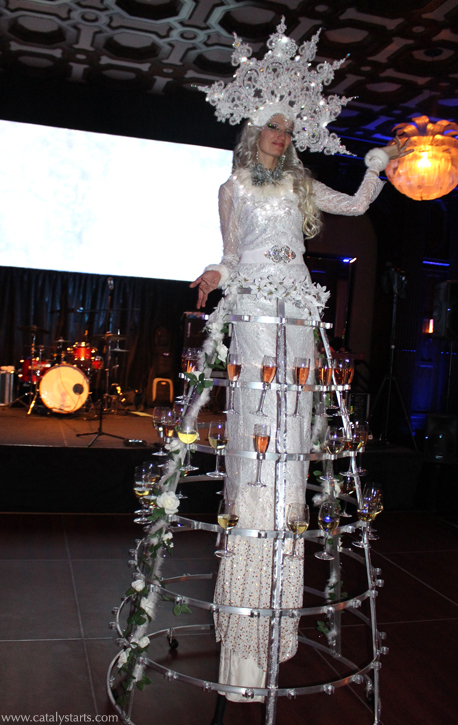 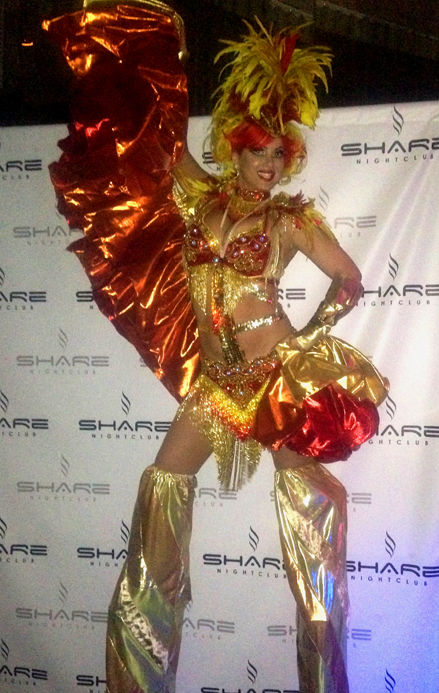 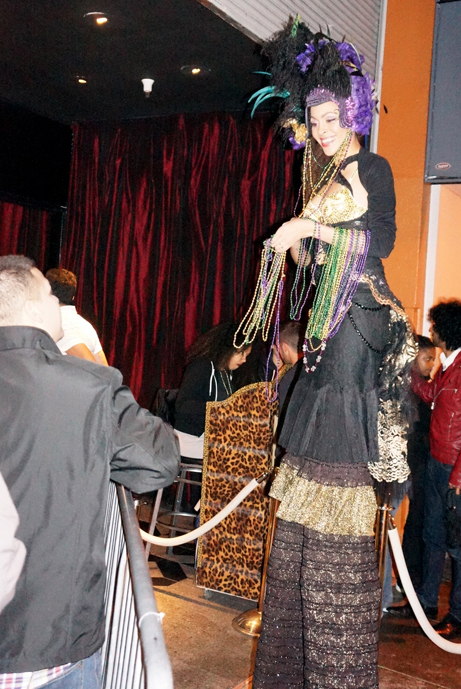 Stilt walkers are the perfect high impact visual addition to take your event to the next level. 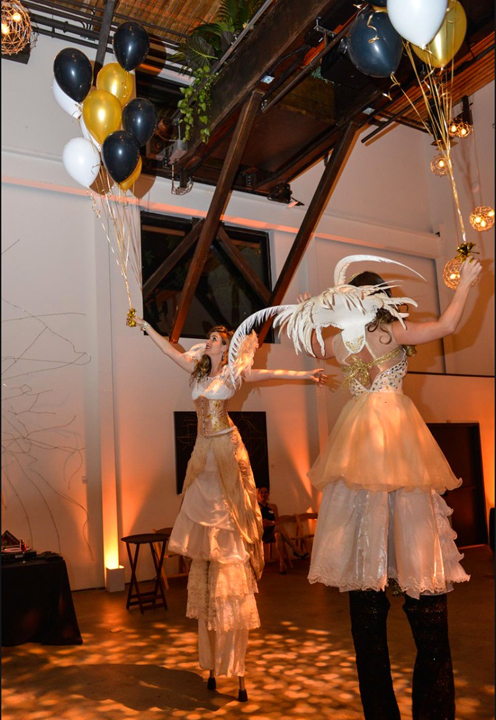 At Catalyst Arts, we love to lift events to new heights of fabulousness, creating experiences that will not soon be forgotten. 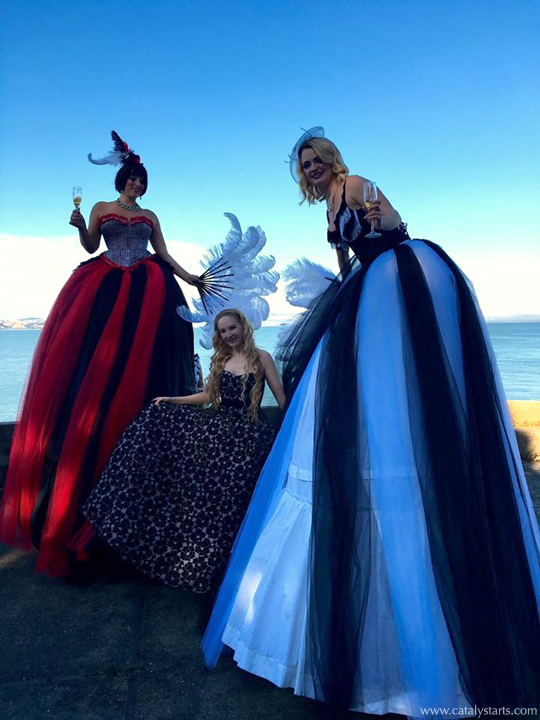 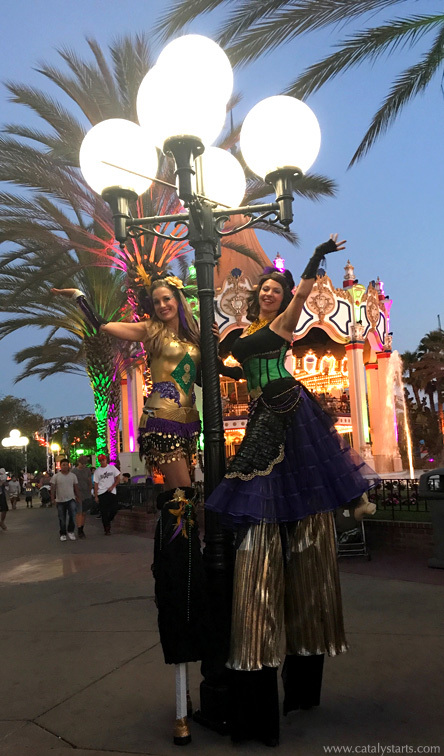 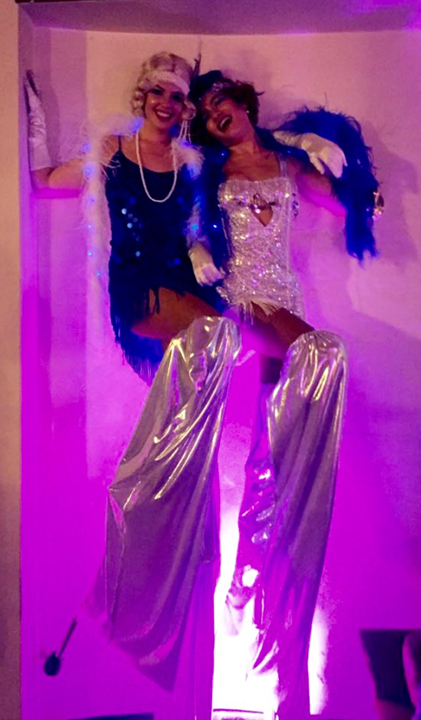 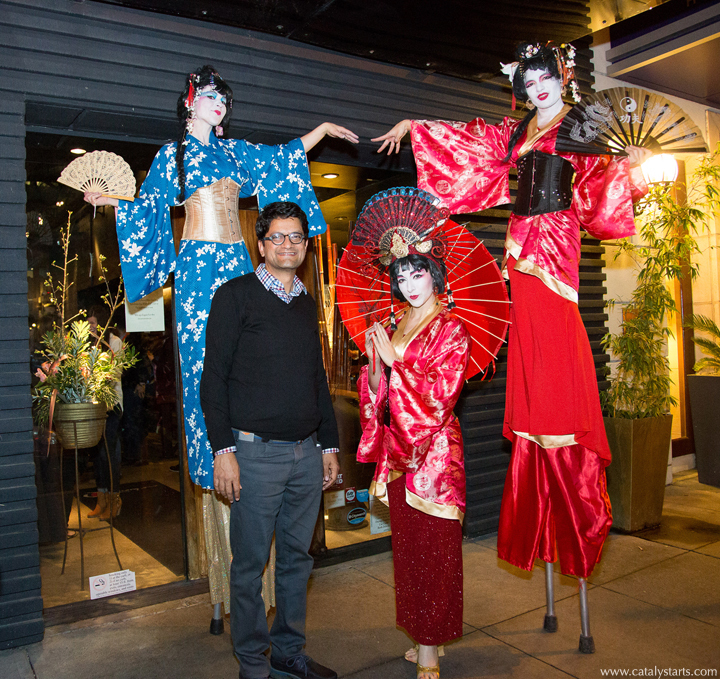 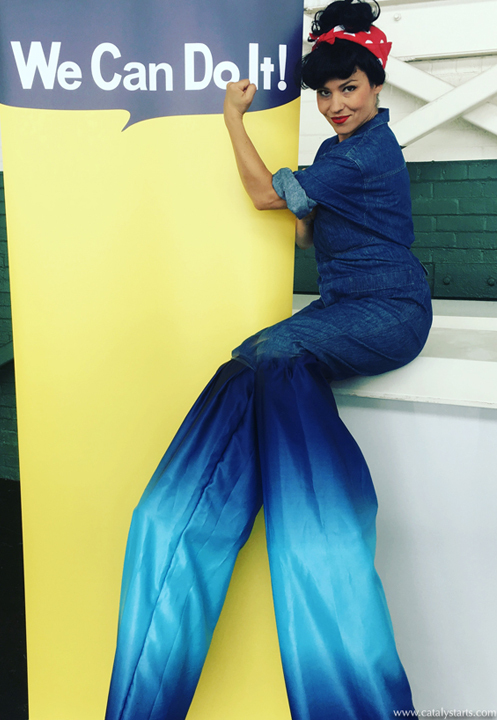 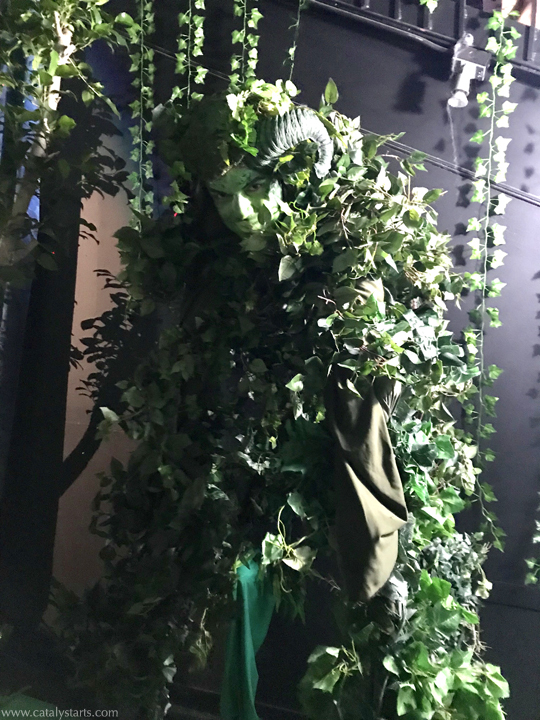 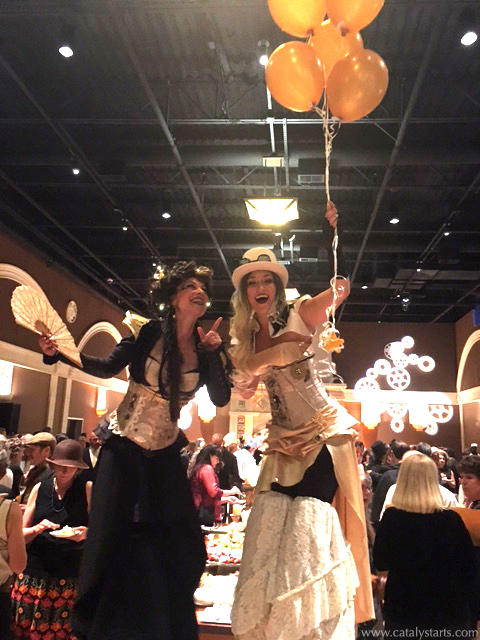 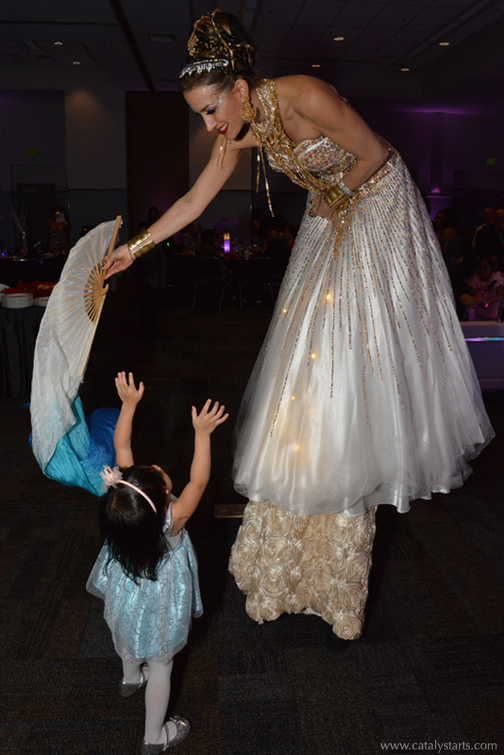 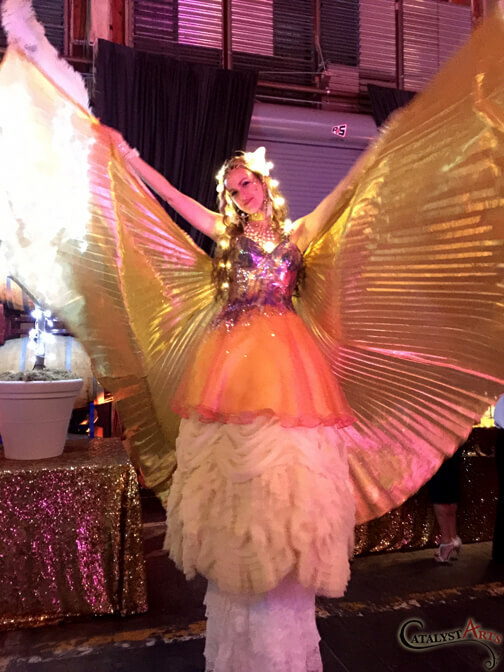 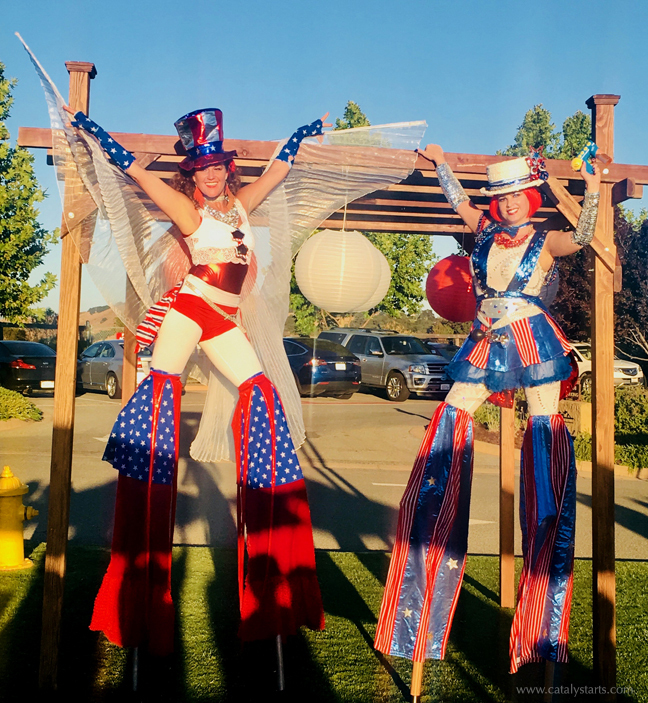 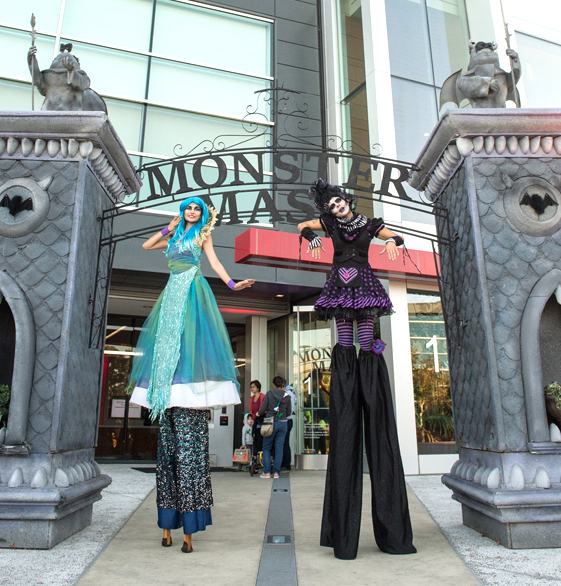 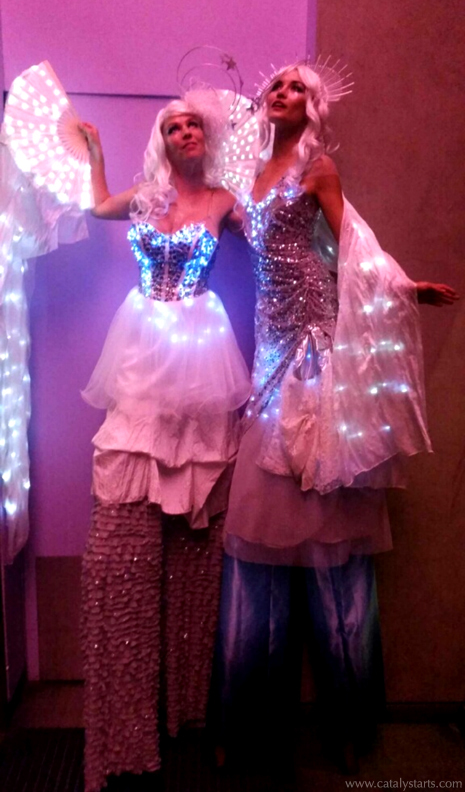 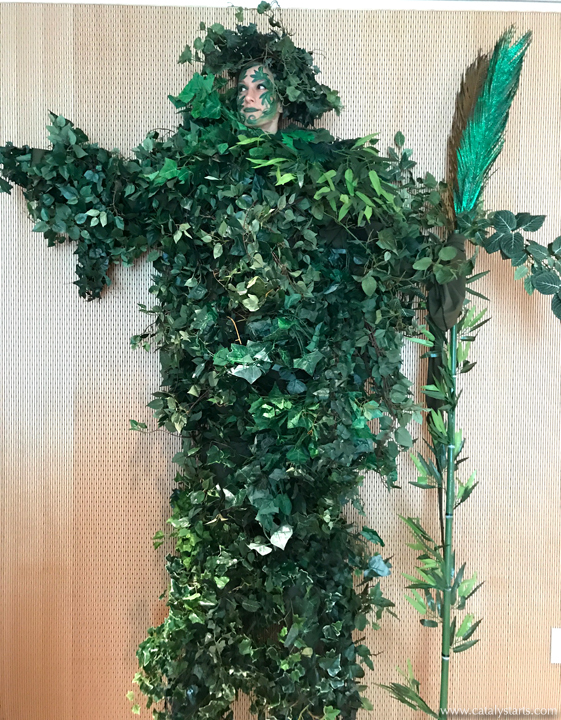 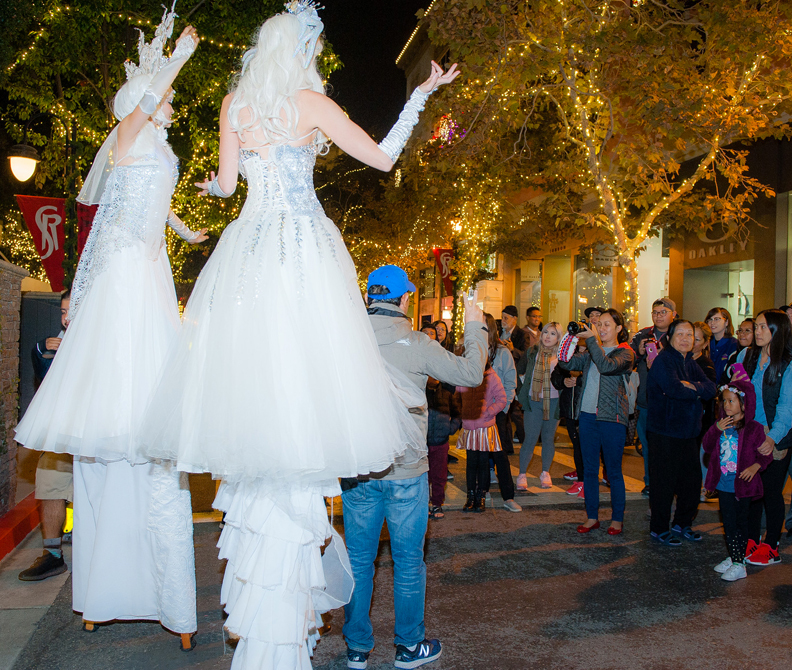 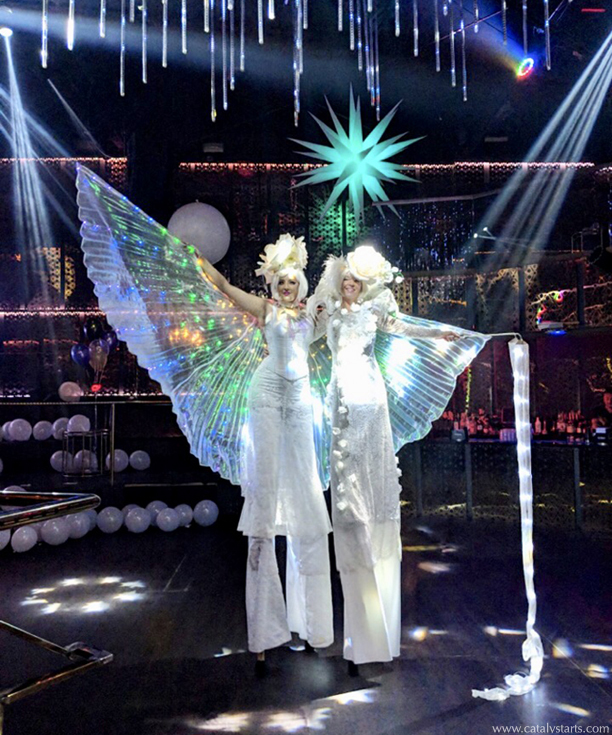 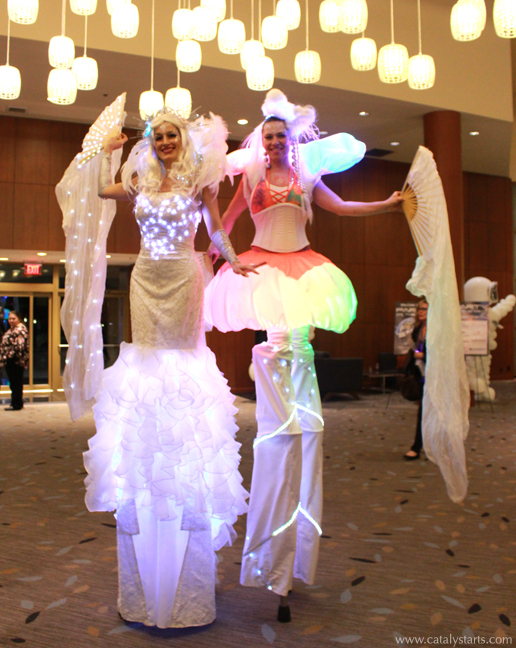 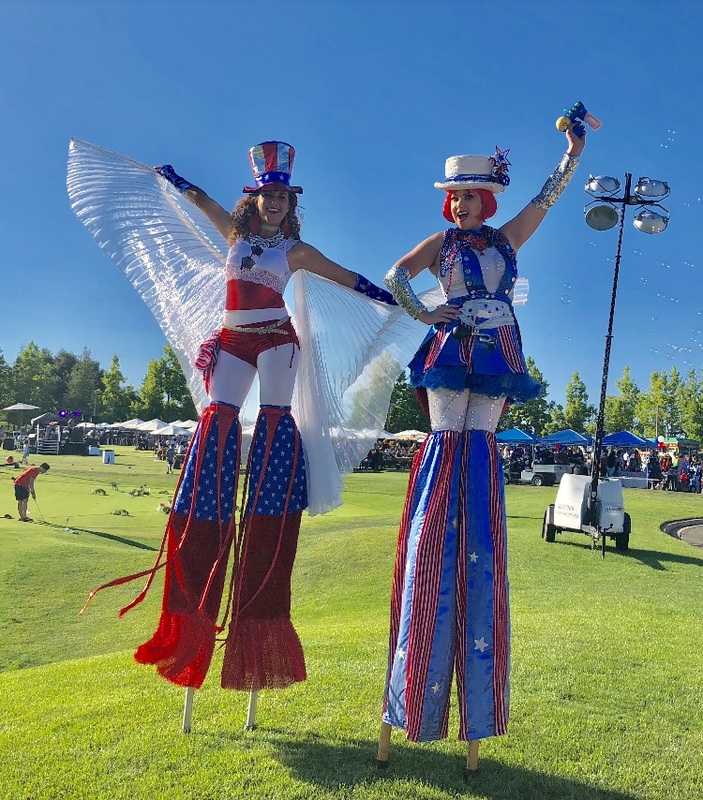 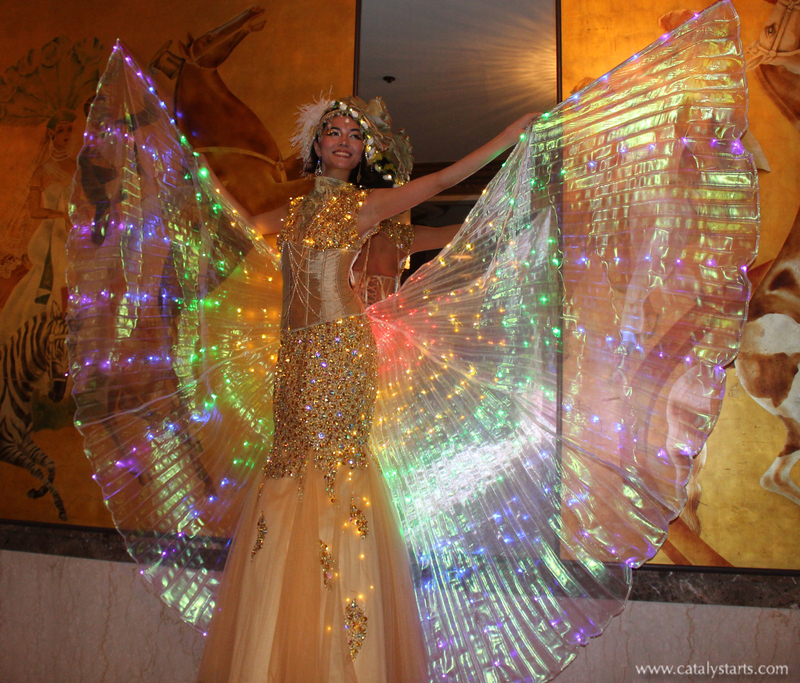 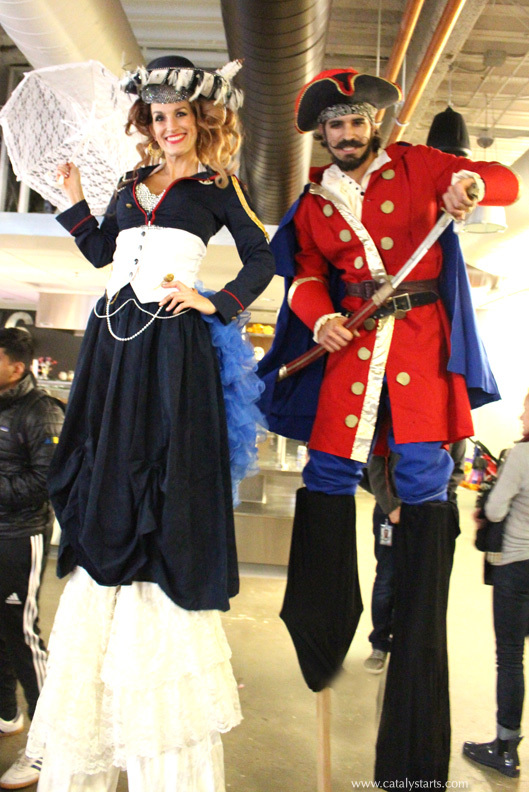 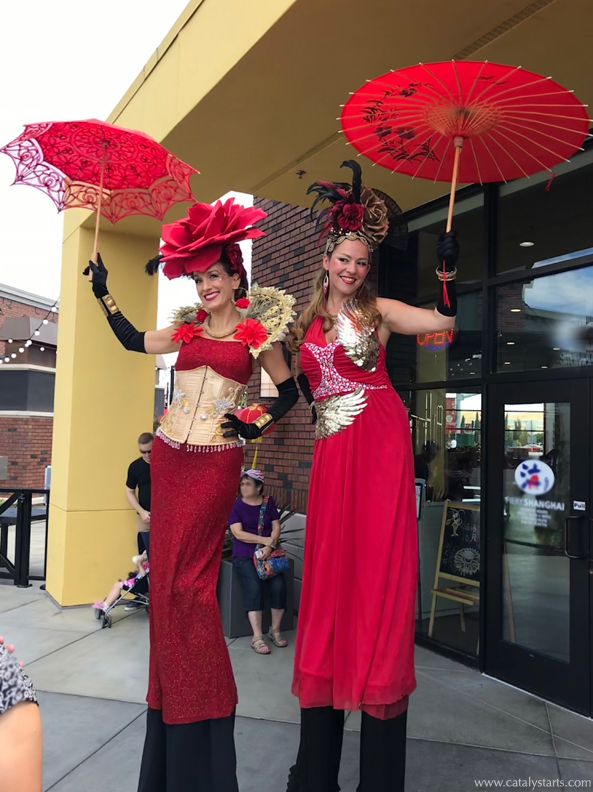 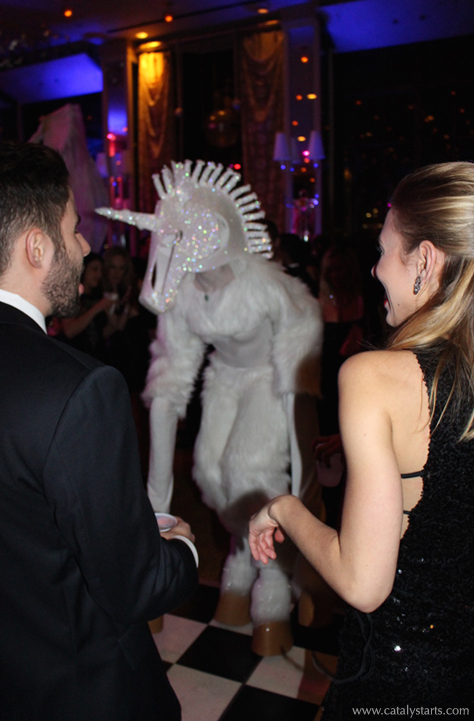 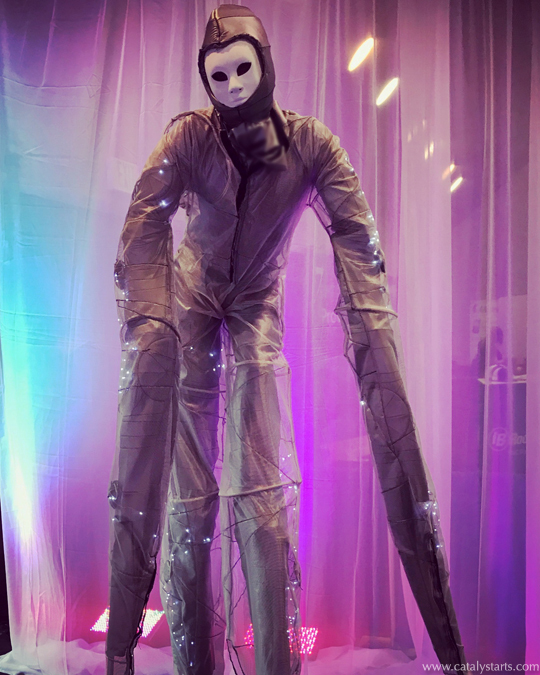 Our larger than life stilt walkers are beautifully costumed and energetic professionals who make a great impact as they greet, pose for pics, and mingle with guests from high above the crowd. 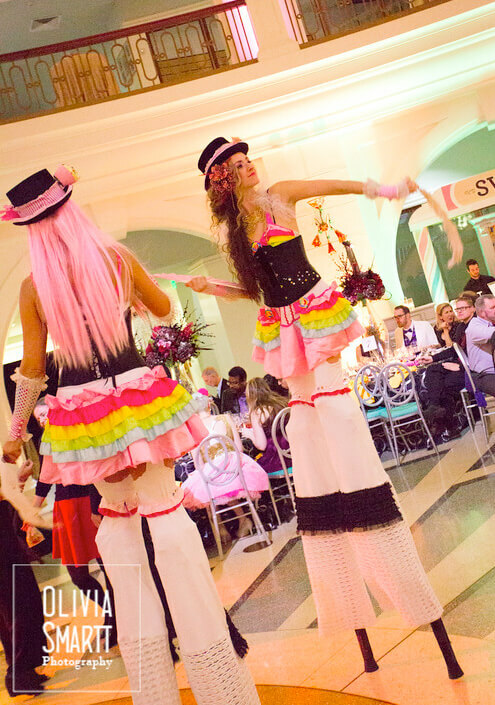 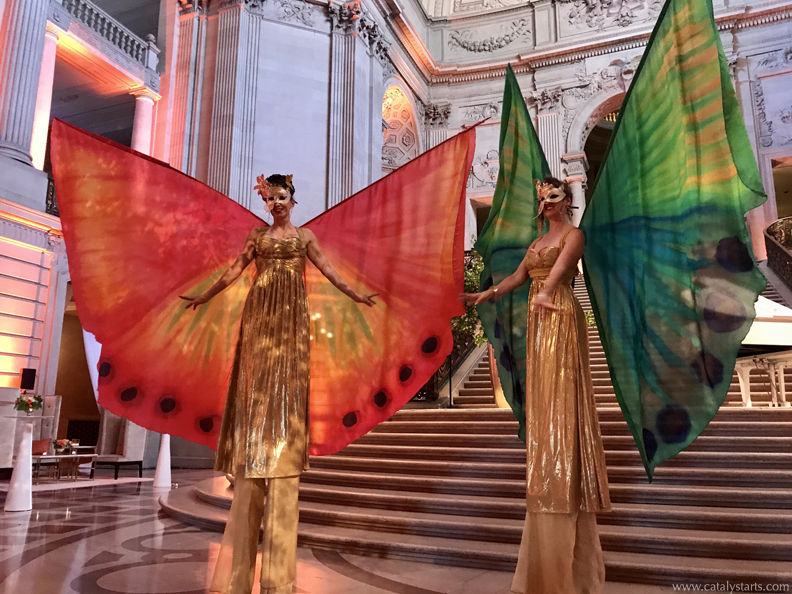 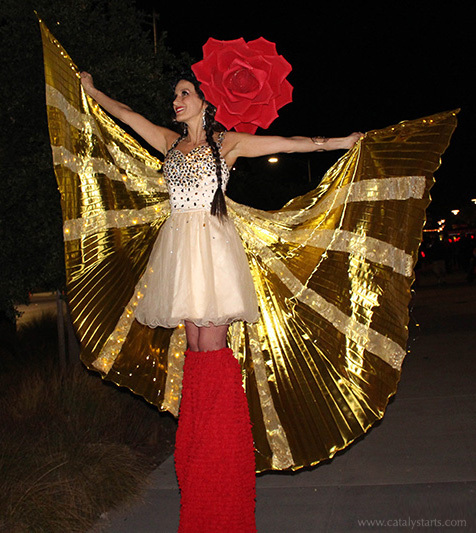 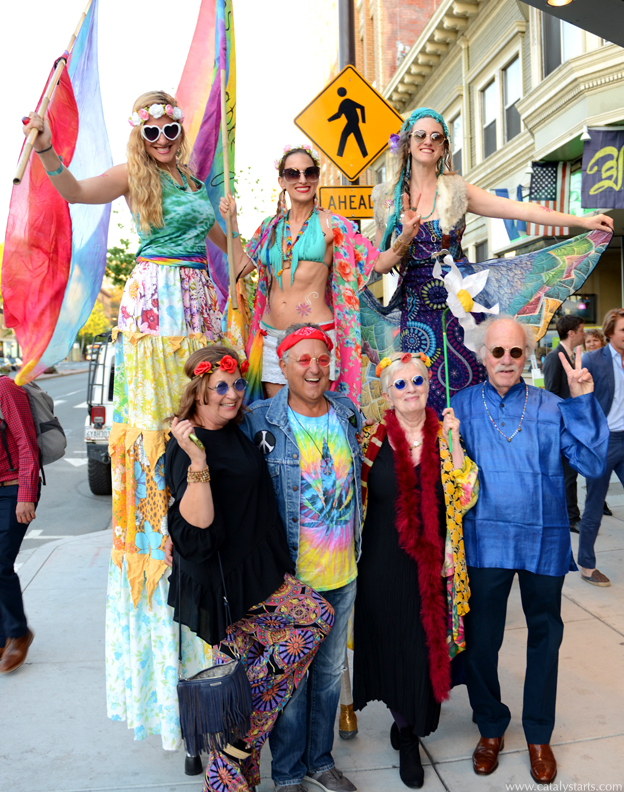 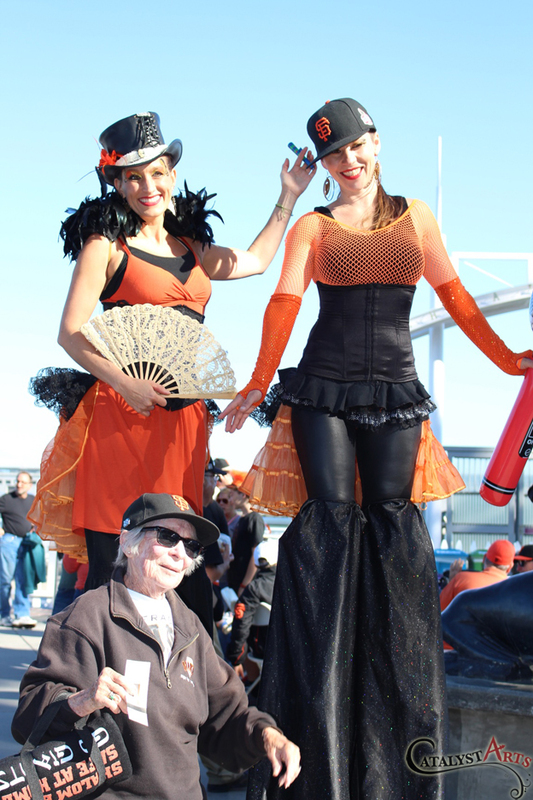 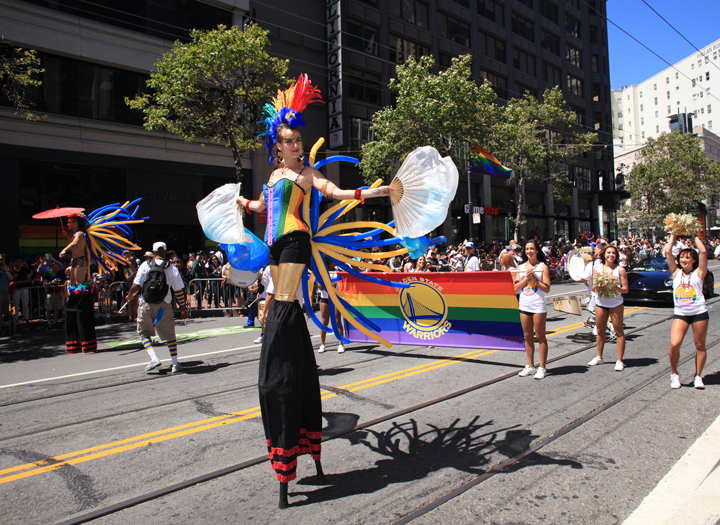 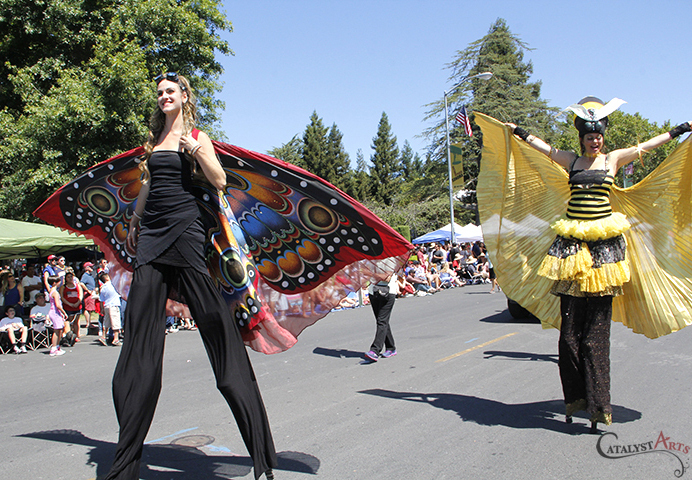 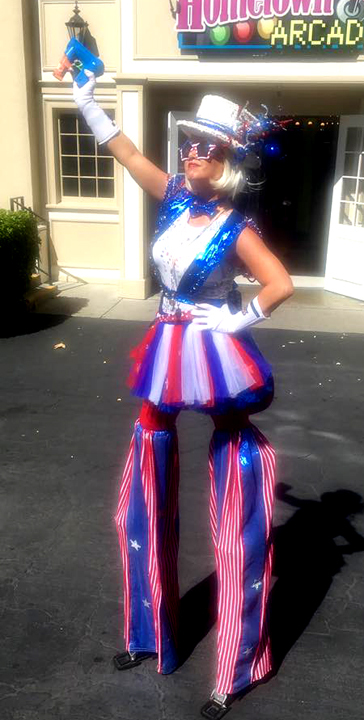 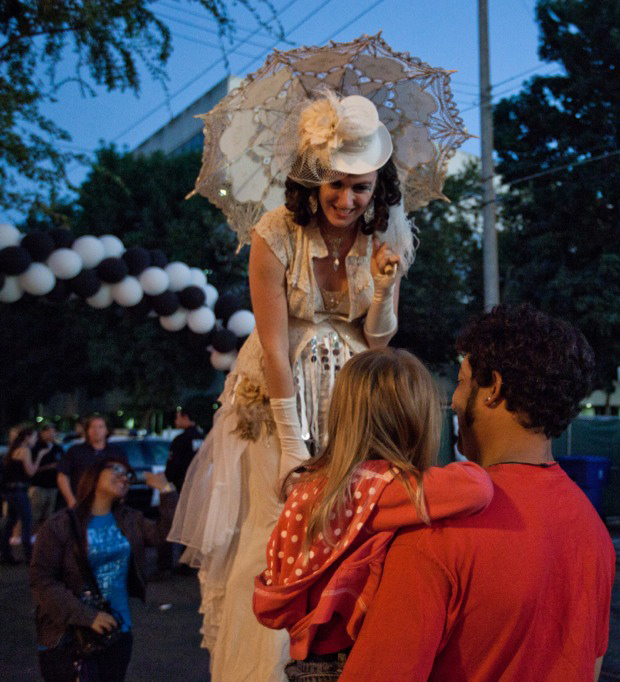 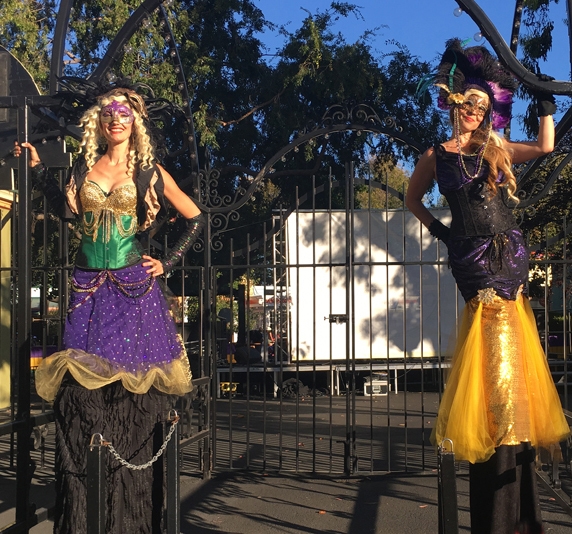 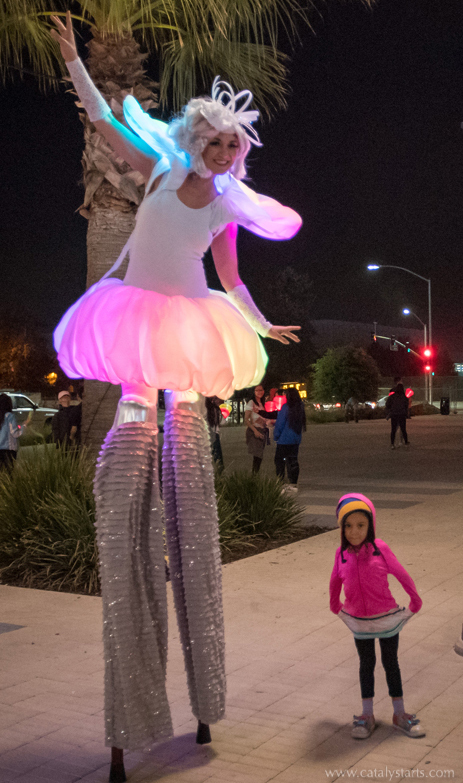 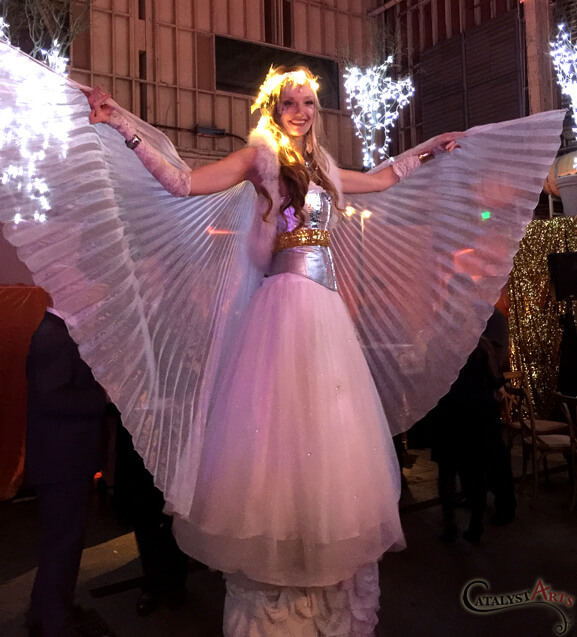 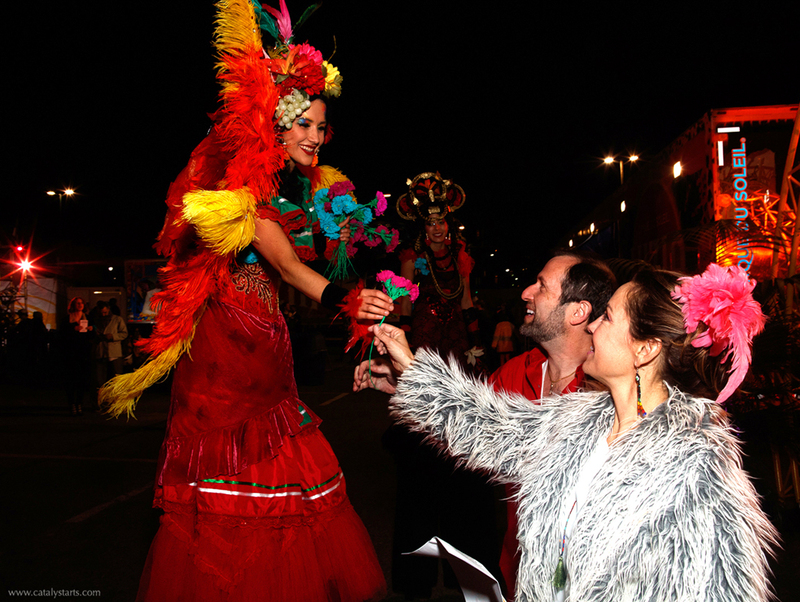 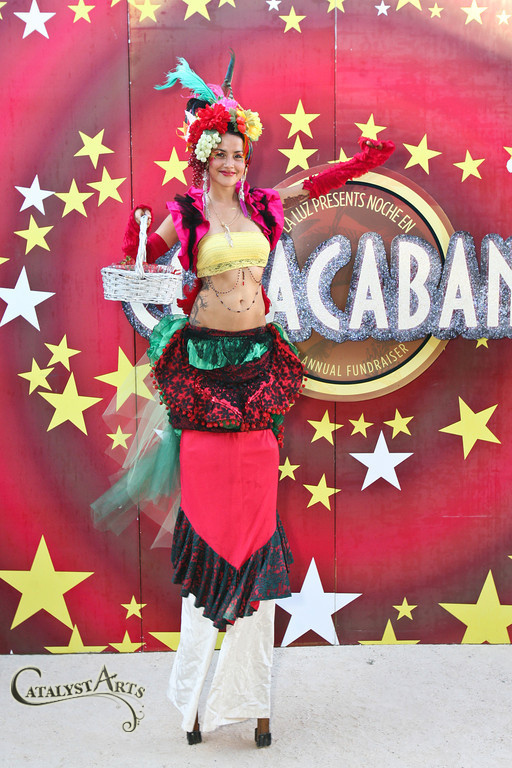 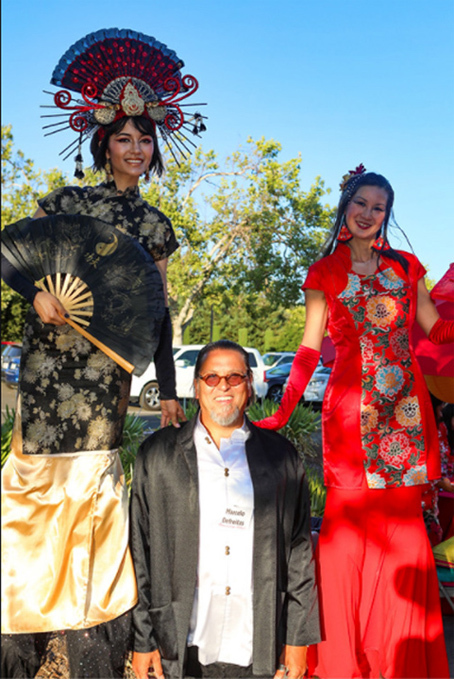 Over the last 11 years we have added flair to thousands of events and are the Bay Area’s go-to entertainment company for Stilt Walking acts. 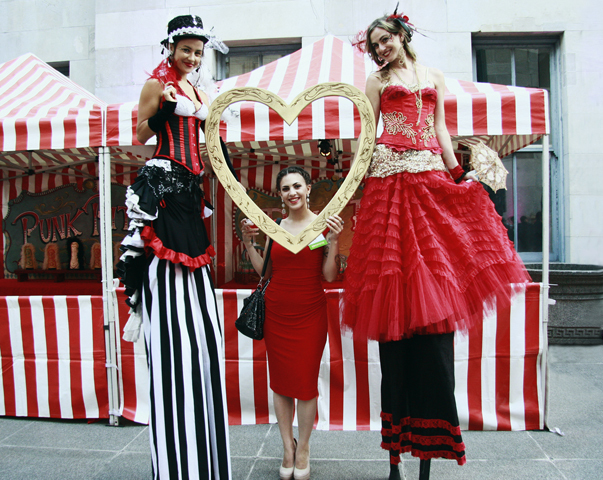 We have a gigantic selection of costumes/themes as well as some unique props such as our giant heArt frame. 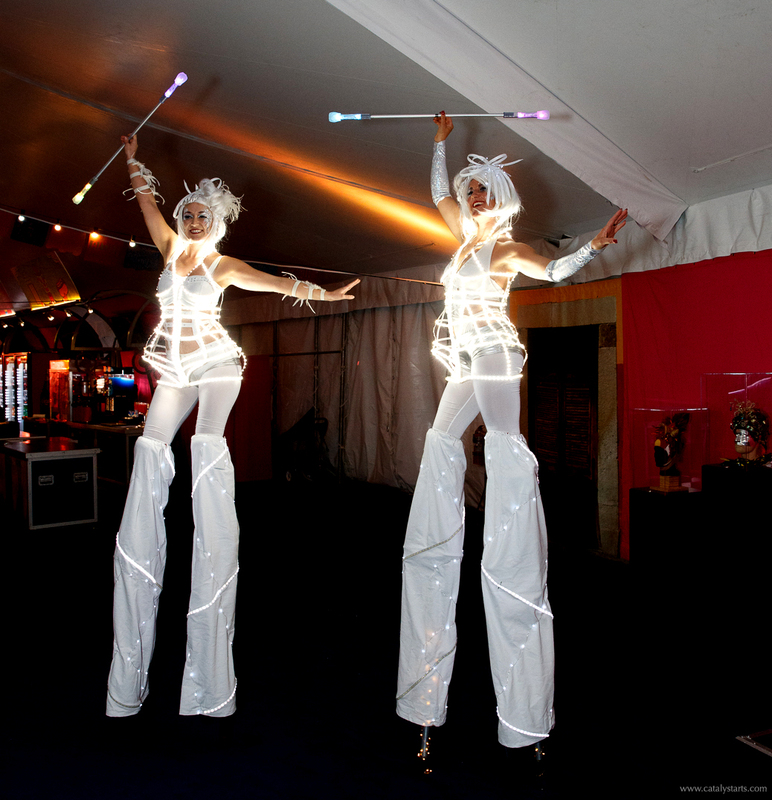 Our stilt walkers carry Entertainers Liability Insurance.